As a graduate of UBC, BSc. Rehabilitation Medicine 1967, armed with 20 years physiotherapy experience, Bonnie took the fork in the road to pursue a degree in Acupuncture in 1986. Her practice of 27 years in England and Canada continues to inspire her as she follows this amazing journey of lifelong inquiry into the healing power of the body. People come to see Bonnie for many reasons, pain control being the most common and familiar in the west. Her endeavor is to integrate the best of ancient eastern healing using acupuncture, with modern western medicine following a holistic approach. In Bonnie’s practice she is interested in discovering with you, and what affects your Qi (Chi). This life force or energy, when balanced and harmonious, flows freely allowing your body to function with vibrant health. Injury, disease, stress, emotional trauma indicate that your Qi is no longer flowing smoothly. Early intervention with Acupuncture is most beneficial particularly with musculoskeletal injury, sports injury, whiplash, concussion, post MVA, and repetitive overuse injury. Conditions responsive to acupuncture include headaches, migraines, respiratory distress, asthma, sinusitis, poor digestion, menstrual imbalance, emotional distress, anxiety, depression, and poor sleep. In addition, seasonal support with acupuncture is a great way to keep your immune system strong. 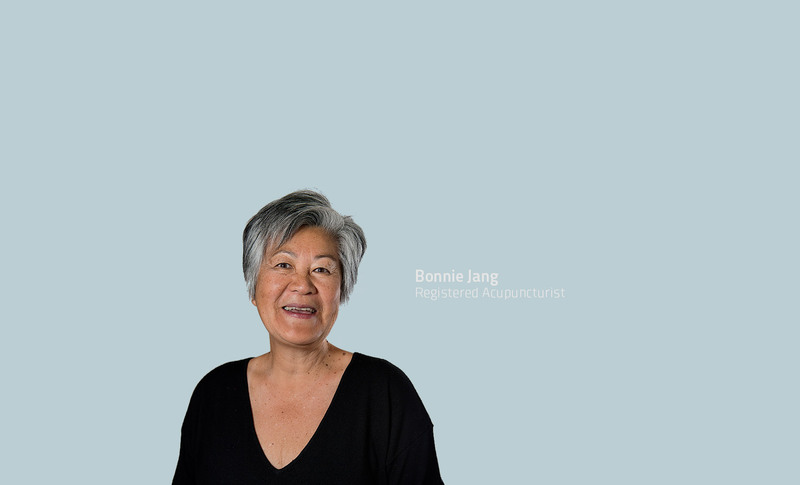 In her spare time Bonnie enjoys walking and cycling in Steveston, and Qigong exercise in the park. Keep the momentum going in your active lifestyle. Explore the benefits of acupuncture. Bonnie looks forward to meeting you. To find out more about Acupuncture or to make an appointment with Bonnie Jang, please book online or contact our Richmond Steveston clinic. Acupuncture treatments are covered by most extended health insurance plans.